This year, both boys were very excited about their World Book Day costumes. What made me really happy is that The Littlest's mind was made up almost immediately. 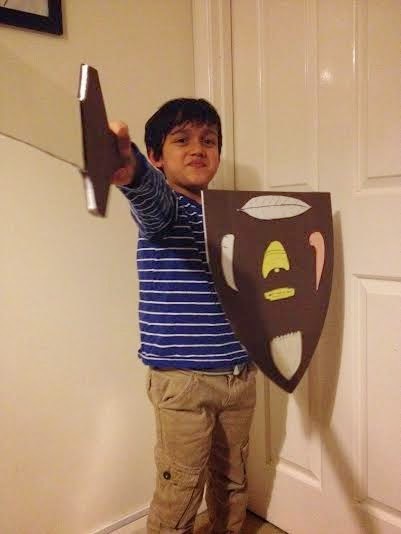 There was no one else BUT Tom from the Beast Quest books that he wanted to go as. The Beast Quest books are spread around my house everywhere right now. And E was very similar. 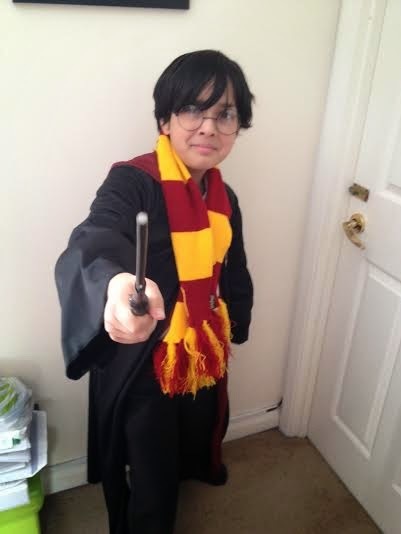 He went back and forth about which character from the Harry Potter series he wanted to go as and in the end settled on Harry Potter himself. I'm really glad that his excitement and enthusiasm for this series still continues. Both are adorable. 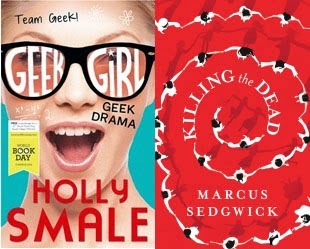 And I love that events like World Book Day exist and that everyone gets so involved!